More than 250 SDS/2 users, Design Data representatives and industry partners attended the 2013 SDS/2 Users Group Conference, held September 18-20 at The Embassy Suites in downtown Omaha, Nebraska. Prior to the start of the conference, attendees had the opportunity to tour local fabrication shops Paxton & Vierling Steel and Drake-Williams Steel. To view images from the shop tours, click here. The three-day conference kicked off with the opening of the Partner Pavilion, which hosted partnering companies and served as the venue for Wednesday evening's reception (sponsored by Peddinghaus), as well as exclusive conference sessions. 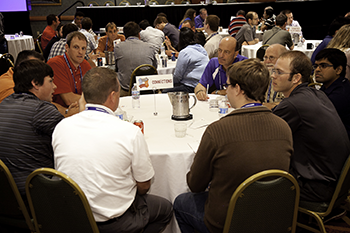 Wednesday's other highlights included the annual Design Data update, presented by Barry Butler and Damon Scaggs, as well as series of roundtables, which gave conference attendees the chance to have a voice in future development of the software. The first day of the conference also included presentations from Bluebeam, Nemetschek, AceCad, Voortman, FabTrol, Peddinghaus, FabSuite and Ficep. CSC's Kevin Lea served as the conference's keynote speaker, discussing the importance of working with BIM in mind to maximize the advantages it provides. Lea also highlighted the fabricating sector and its progress over other disciplines in terms of using BIM. The last two days of the conference included learning opportunities for SDS/2 users of all experience levels. Sessions focused on topics such as BIM and IFCs, status update and custom properties, managing revisions, BIM joists, SDS/2 Engineering, User Defined Connections, applying custom members, and illustrating models. Design Data's annual Thursday night conference dinner was held at the historic Durham Museum. Conference attendees served as contestants during the Design Data Game Show Extravaganza, which included Let's Fabricate a Deal, Customer Feud, Steel or No Steel, and The Bid is Right. Click here to view images from the Extravaganza. To view additional images from the conference, visit the SDS/2 by Design Data page on Facebook. 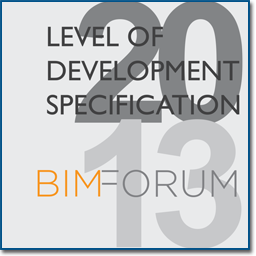 The BIMForum has released its final 2013 Level of Development Specification for Building Information Models. The LOD Specification is a reference that enables practitioners in the AEC Industry to specify and articulate with a high level of clarity the content and reliability of BIM models at various stages in the design and construction process. The intent of this Specification is to help explain the LOD framework and standardize its use so that it becomes more useful as a communication tool. 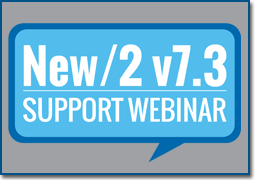 Learn more and download the specification. Advanced Selection is a powerful tool for locating items that meet almost any criteria in the model, such as member type, section size, and connection type. 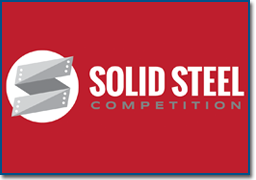 Winners of the 2013 SDS/2 Solid Steel Competition were announced during the Design Data Game Show Extravaganza at the SDS/2 Users Group Conference. Awards were given in three categories: Commercial, Industrial and Customers' Choice. To see who the winners were, click here. Design Data's James Schwartz and David Henegar from SDI, Inc. were among the presenters for the annual Connectors Club Award, given during the business meeting at the 2013 SDS/2 Users Group Conference. Advisory Board members and past recipients of this award nominate standout individuals who have demonstrated exemplary dedication and commitment to the development and application of SDS/2 during the preceding year. 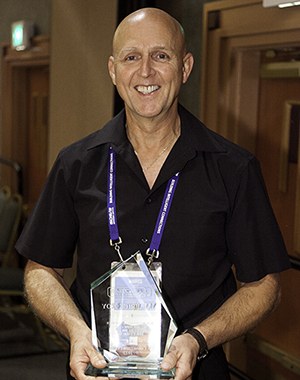 The recipient for 2013 is Maurice Roy from Steltec Inc.
To see previous winners of the award, click here.